OG1 frames are produced in small batches, keeping the cost down, while offering riders a truly hand built experience without waiting months or even years for a bike. Our goal is to have a bikes delivered within 2 weeks of ordering. – 5 standard sizes ranging from 50 to 58 (50,52,54,56,58). – 2 iconic color options – Matte Army & Matte Lavender. – Painted in house, utilizing Speedvagen Ghost graphics. – Strategically placed stainless steel reinforcements. – Shimano Dura Ace mechanical shifters and rear derailleur. – Shimano Ultegra front derailleur, cranks and brakes. – Mavic Ksyrium Elite wheels & tires. 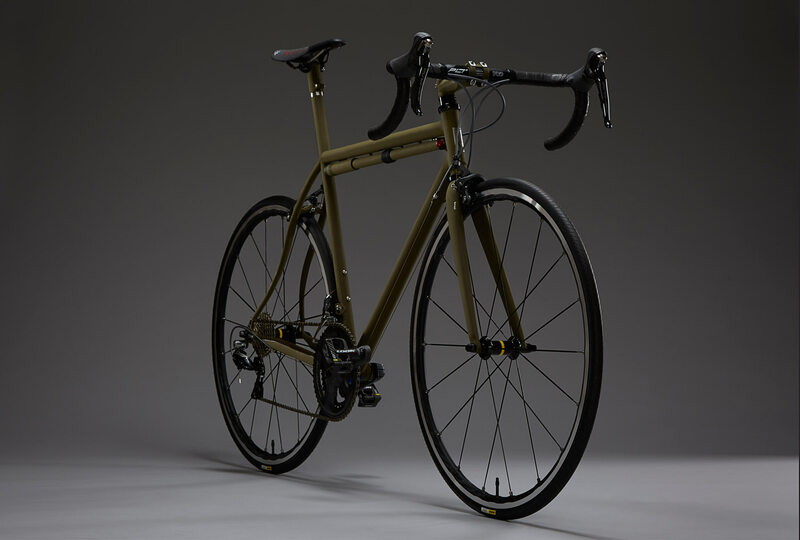 – PRO handlebar wrapped in Cinelli cork tape. – Ritchey seatpost head & painted PRO PLT stem. – Painted ENVE 2.0 road fork.